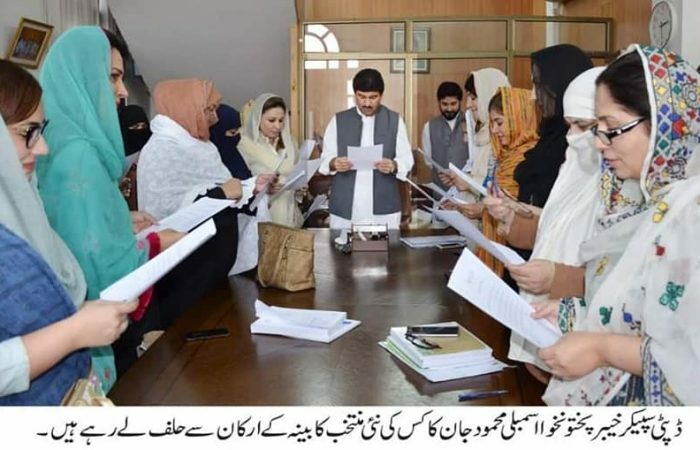 The Khyber Pakhtunkhwa Women Parliamentary Caucus had been created soon after the oath taking ceremony of the newly elected members of the Assembly in 2018. 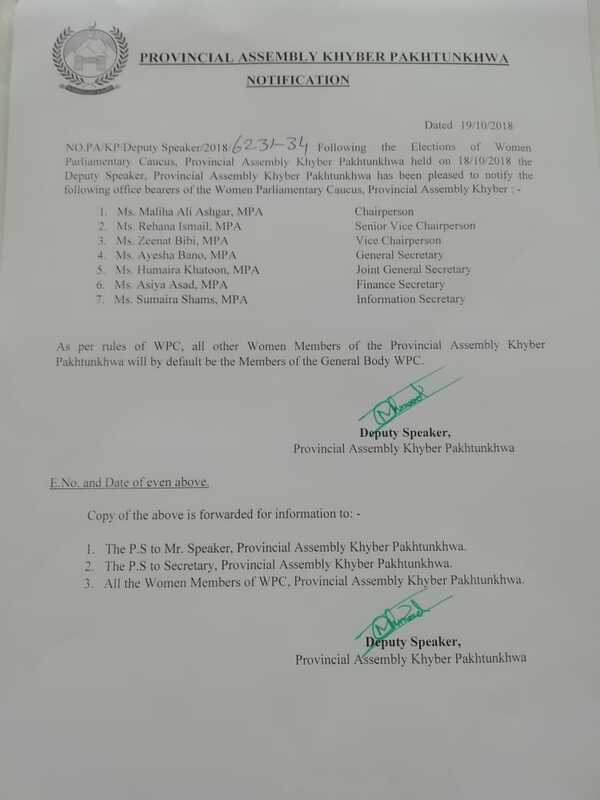 The object of the Caucus is to strengthen the voice of the women legislators in the Assembly. 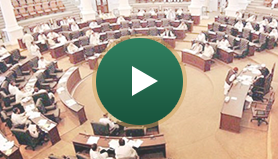 Being on the reserved seats, they felt ignored and sidelined and since the majority had come to the Assembly for the first time, they were not confident enough to demand their rights. 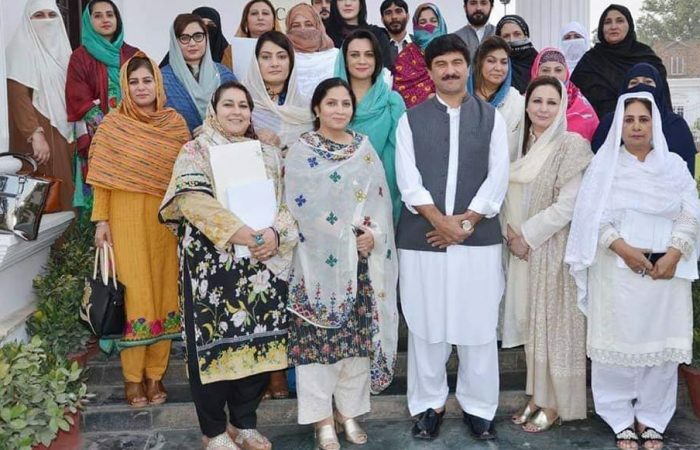 The Caucus provided them a platform to struggle collectively for their own rights as well as bring more business pertaining to women issues to the Assembly debate.